Cinch is a fast growing start-up within Berkshire Hathaway Specialty Insurance. We set out to build a modern, customer-focused, digital platform to help professionals and small businesses buy and manage insurance smarter and faster – all which saves them time and money. As an Associate Product Specialist, Sales and Service, you’ll provide exceptional service to existing Cinch customers, and prospective customers, and drive growth through voice, chat, and email. We’re looking for problem solvers who are advocates for our customers and the Cinch brand. Associate Product Specialists contribute directly to improving the Cinch experience by providing ongoing Voice of Customer and user experience feedback. You will be part of a team that is focused on exceeding customer expectations and helping build the Cinch business. • We don’t obsess over average call handle time; instead, we focus on doing the right thing for the customer. • We empower you to solve the customer’s problem on the first interaction while delivering a personal, empathetic experience. • We are looking for intelligent, customer focused individuals looking to do something different in insurance. • Act as an advocate for customers and prospects through a variety of channels, including voice, chat, and email. • Guide customers on insurance products and coverages based on their individual needs. • Grow the Cinch book of business. • Become an expert in the small commercial insurance space, including but not limited to, professional liability and medical malpractice products. • Drive customer experience improvements by continuously surfacing Voice of Customer feedback and operational enhancements across the Cinch team. • Make outbound communications to obtain policy information and pursue renewal opportunities. • Must be able to work weekdays during the hours of 11AM – 8PM. • Ability to learn and understand insurance policy concepts. • A problem solver that constructively questions processes and procedures. 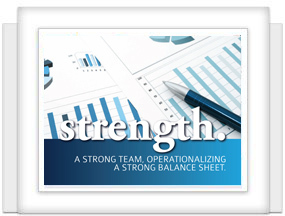 • Strong organization and time management skills; ability to prioritize and manage multiple activities in tandem. • Interested in insurance and becoming an expert in Cinch’s insurance products. • Proficient working knowledge of Microsoft Office products, including MS Word, Excel and Outlook. • Adaptability to varying personality types and situations. • Ability to think and act appropriately to immediate situations at hand. • Eager to work in a collaborative, fast-paced, start-up team environment. • Background in contact center or customer service experience preferred. Insurance experience is a plus but not required. • Property and Casualty License is preferred, but not required. If not already licensed, you will be required to become a Licensed Insurance Agent upon joining the team (costs will be covered by Cinch).